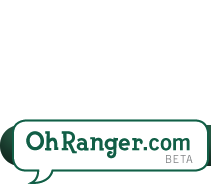 Sequoia & Kings Canyon National Parks | Oh, Ranger! Sequoia & Kings Canyon National Parks are home to giants: immense mountains, deep canyons and huge trees. Thanks to their huge elevation range, 1,500 feet to 14,491 feet, these parks protect stunningly diverse habitats. The Generals Highway climbs more than 5,000 feet from chaparral and oak-studded foothills to the awe-inspiring sequoia groves. From there, trails lead to the high-alpine wilderness which makes up most of these parks. Beneath the surface lie over 200 fascinating caverns. Although Congress created these two parks at different times, Sequoia & Kings Canyon share miles of boundary and are managed as one park. Sequoia was the second national park designated in this country. General Grant National Park, the forerunner of Kings Canyon, was third. As you explore this landscape of giants, do so in step with nature. Be aware that human activity may conflict with natural events. One example: human-bear interactions can result in problems for both players. Store all food properly and learn other ways to keep your parks healthy and wild. Sequoia and Kings Canyon National Parks provide habitat for over 200 species of birds, including many neotropical migrants. Beginning in the Sierra Nevada foothills near Dunlap, the Kings Canyon Scenic Byway (CA Hwy. 180) traverses 50 spectacular miles leading to Roads End in Kings Canyon National Park. For more information on other scenic drives in Sequoia & Kings Canyon National Parks, ask at a visitor center. Fourteen campgrounds in five unique areas of the parks offer a variety of camping options. Some campgrounds, such as those in the Grant Grove and Cedar Grove areas offer easy access to amenities while others, such as those in the Mineral King and South Fork areas offer a greater sense of solitude. The majority of the 14 campgrounds are first-come, first-served. Lodgepole, Dorst and certain group campgrounds are open to reservations. Campgrounds often fill up on Saturday nights in July and August. Sunday afternoons through Friday afternoons offer the best chance of finding a campsite, with the exception of Lodgepole which usually has limited sites even midweek. Each campsite has a picnic table, fire ring with grill and a metal bear box for food storage. If you are staying in an RV or trailer note that there are no hook-ups in the parks and be aware of length advisories and restrictions at certain campgrounds. Dump stations are located at Potwisha and Lodgepole. The Sequoia and Kings Canyon Wilderness encompasses hundreds of thousands of acres of pristine High Sierra country and forms the backbone of these two parks. Wilderness permits are required for all overnight camping outside designated campgrounds. Permits are not required for day hikes, except in the Mount Whitney area. 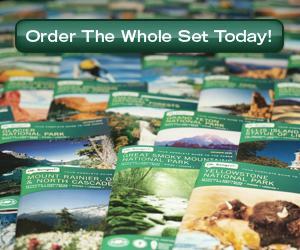 The Wilderness Office, reachable at (559) 565-3766, is also available to assist you in planning your trip. To date, more than 200 caves have been found in Kings Canyon & Sequoia National Parks. Most caves are in the western third of the parks in narrow bands of marble paralleling the trend of the Sierra. Some of the caves are open to recreation, while others are closed to the public. Crystal Cave, located along Cascade Creek in the western part of Sequoia National Park, is one of the most popular caves to visit. The cave is open to the public through guided tours. For tour information and schedules, contact the Sequoia Natural History Association at (559) 565-3759 or visit sequoiahistory.org. Sequoia and Kings Canyon National Parks are a great place to climb. The rock here is similar to Yosemite in quality. One can enjoy an endless variety of climbs from easy to extremely challenging--without the crowds and pressure of more famous climbing areas. Outstanding routes include the Obelisk, Grand Sentinel, and Chimney Rock. Most climbs require at least a day's hike in. When fishing in the parks, please follow California regulations. Get copies of park-specific regulations at any visitor center. Summer is hot and dry time in the Foothills. But in wet years, there may still be plenty of water in Marble Falls or along the Middle Fork Trail. Watch out for poison oak and rattlesnakes. Consider hiking early in the morning or in the early evening hours to escape the heat of the day. Giant sequoias, cool conifer forests, sun-splashed meadows, and exhilarating vistas are all available in the Giant Forest/Lodgepole area. Climb the historic staircase on Moro Rock to see the Great Western Divide. Sequoias, easy trails, and solitude are all available on trails in the vicinity of bustling Grant Grove Village. 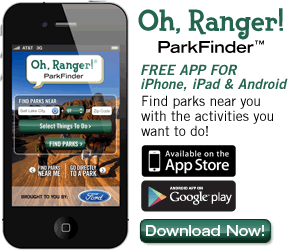 Maps and guidebooks are available at nearby visitor centers--along with helpful rangers. Looming granite walls, great vistas, quiet rivers, pleasant waterfalls--some of the most level hikes in the parks can be found here as well as some of the most steep, hot, and strenuous. There is something for every hiker in the Kings Canyon. Cooler temperatures and dramatic mountain scenery tempt day hikers up to Mineral King. Be prepared for steep trails and thinner air. West- and south-facing slopes can still be hot and dry, so bring plenty of water and sunscreen. Consider beginning your hike in in the morning when it is cooler. There are two locations for horseback riding in Kings Canyon National Park, one in adjacent Sequoia National Forest and one in adjacent Sierra National Forest. The Grant Grove and Horse Corral pack stations offer both shorter trips and multi-day pack trips, Grant Grove Stables offers only day trips and Rock Creek pack station offers only multi-day pack trips. Services are offered from late spring to fall, please contact the stable or pack station for exact dates. Grant Grove Stables is operated by Delaware North Park Services. They can be contacted at (559) 335-9292 during the summer and (559) 337-2413 in the winter. Cedar Grove Pack Station also operated by Delaware North Park Services can be contacted at (559) 565-3464. Horse Corral Pack Station, operated by Charley and Judy Mills can be contacted at (559) 565-3404 during the summer and (559) 564-6429 in the winter. Rock Creek Pack Station is operated by Craig and Herbert London and they can be contacted at (760) 935-4493. Picnic areas abound in the parks. While picnicking, remember to store all food properly, never leave food on or around picnic tables unattended, and place all trash in bearproof garbage cans and dumpsters (close any latches that are present). Please use the bear box near your table to store all food when you are not preparing or eating it. During the spring, summer and fall you can see many types of animals. In spring, the meadows filled with snow runoff become ponds for a chorus of frogs. The blue-gray scrub jay, which screeches at anything that moves, and the California towhee, which sings an accelerating series of high "teek" notes, are found at lower elevations. The Steller's jay, with a black head and blue body, is commonly seen flying through camp-grounds and picnic areas at higher elevations. You will hear chipmunks and ground squirrels chatter and see them dash across the forest floor. If you are lucky, you may even glimpse a mule deer feeding at dusk, a gray fox hunting in the foothills or possibly even a bear lumbering through the forest. Do not feed any wildlife. Skiing, snoweshoeing and snowplay are fantastic winter sports to enjoy in the parks. Ranger-guided nature programs on snowshoes are usually offered at Wuksachi Lodge and Grant Grove on Saturdays and holidays when conditions permit. The park provides snowshoes free for the two-hour, one-mile walk. Group size is limited, so reserve your place at any visitor center or by calling (559) 565-4480 for the Wuksachi walk and (559) 565-4307 for the Grant Grove walk. If there is sufficient snow, many areas of the park may be accessed by skis. Cross-country skis are available for rent at Wuksachi Lodge and Grant Grove Market. Please avoid residential areas, plowed roads, and other areas as signed. The Pear Lake Ski Hut, in Sequoia National Park, is open for use by the general public mid-December through April. It is located 3/8 of a mile north of Pear Lake at 9,200 feet (2804 meters) and is reached by ascending a steep six miles of trail from Wolverton Meadow (7,200 feet). This advanced level ski/snowshoe trail offers a chance to explore the beautiful wilderness of the Sierra Nevada mountains in winter. The hut sleeps 10 people and is heated by a wood pellet stove (pellets provided). Snowplay is prohibited in residential areas, the Grant Tree Trail area, the Sherman Tree Road, and other areas as signed. Please be safe and considerate of others as you play in the snow. You can visit Sequoia and Kings Canyon National Parks all year, though some areas of the park are inaccessible by car from approximately November through May due to snow. Temperature varies by elevation. Because these parks range from 1,500 feet to 14,494 feet in elevation, conditions change drastically depending on where you are. During winter months higher elevations will be inaccessible. The Sequoia Natural History Association is a non-profit membership organization dedicated to supporting education, interpretation, research, and the natural and historic preservation of Sequoia and Kings Canyon National Parks, Devils Postpile National Monument, Lake Kaweah, and other areas of the National Park System. The Sequoia Natural History Association is committed to enriching the experiences of visitors and promoting public awareness of the significance of national parks through educational programs, publications, and financial support. Delaware North Park Services operates Wuksachi Village and Lodge, located in the heart of Sequoia National Park, and Bearpaw High Sierra Camp, a backcountry Sequoia hotel offering tent accommodations with beautiful views, accessible only by an 11.5-mile hike via the High Sierra Trail. In Kings Canyon National Park, Delaware North Park Services operates the John Muir Lodge, Cedar Grove Lodge and Grant Grove Cabins. It also manages the markets, gift shops and restaurants in Grant Grove Village and Cedar Grove Village. Gasoline is not sold within park boundaries, but it is available at locations near the park boundaries. Be sure to fill up in one of the towns near the park entrance or at one of three locations in the national forest bordering part of the park: year-round at Hume Lake (near Grant Grove), and late spring into fall at Stony Creek (between Giant Forest and Grant Grove) or Kings Canyon Lodge (between Grant Grove and Cedar Grove). Two highways provide access to the parks. Highway 180 enters Kings Canyon National Park from the northwest via Fresno, and Highway 198 enters Sequoia National Park from the southwest via Three Rivers. Highway 180 provides the access to the farthest eastern vehicle-accessible point near Cedar Grove. To Sequoia Park entrance: from Highway 99 at Visalia take Highway 198 east for approximately 1 hour. To Kings Canyon Park entrance: from Highway 99 at Fresno take Highway 180 east approximately 1-1/4 hours. There are no roads in the parks that cross to the east side of the Sierra Nevada. Additionally, there are no roads to enter the parks from the east (Highway 395). You can visit Sequoia and Kings Canyon National Parks all year, though some areas of the park are inaccessible by car from approximately November through May due to snow. Highway 198 connects the Grant Grove area in Kings Canyon to the Foothills area of Sequoia. If the highway is closed due to snow, you may travel between the two areas outside the park via Badger. Please note: GPS and route-finding units do not always give accurate directions in this area. Double check your route using the park map and road signs. The closest commercial airports are in Fresno and Visalia. Leave your car behind and access locations throughout the Giant Forest including: Giant Forest Museum, General Sherman Tree, Moro Rock, Lodgepole Visitor Center and Campground, Crescent Meadow, Wuksachi Lodge, Dorst Creek and the many many more trails, lakes and natural wonders. Sightsee while you ride--park once and forget about driving, and reduce air pollution. Three routes Sequoia Shuttle routes run May 21st through September 1st. The Sequoia Shuttle runs from the City of Visalia, through Three Rivers, and up to the Giant Forest Museum, where you can transfer to park shuttle. For details and reservations visit www.sequoiashuttle.com, the City of Visalia's website, or call 1-877-BUS-HIKE.